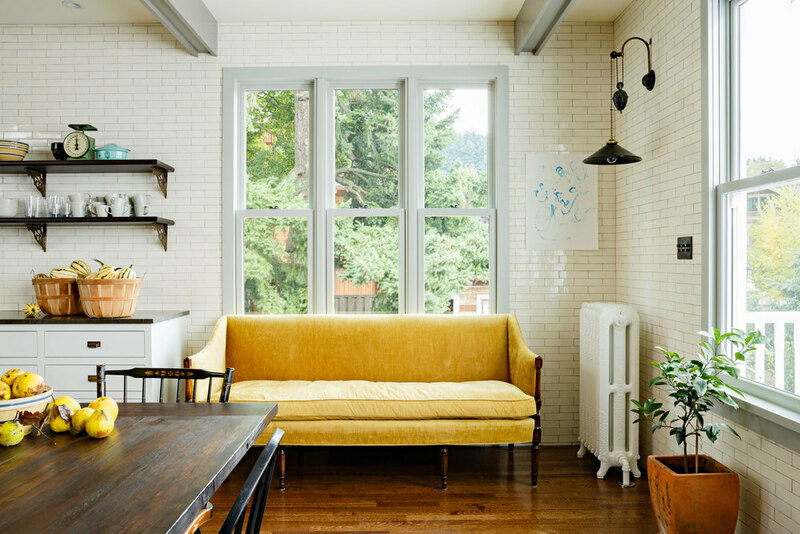 This project was the remodel of a kitchen and dining room in a beautiful, rambling, old victorian house in the Mount Tabor neighborhood of Portland. The original kitchen was small, dark, and cramped, with a glassed-in porch surrounding it on two sides so that it had no exterior windows. 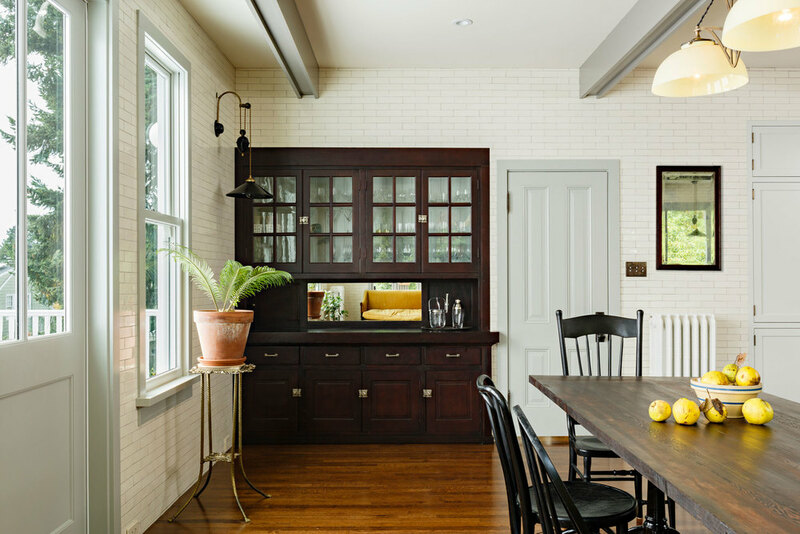 We converted part of the sun porch to interior space to create a new open and airy kitchen, and opened up the rest to the outside to create a porch with french doors off the dining room. 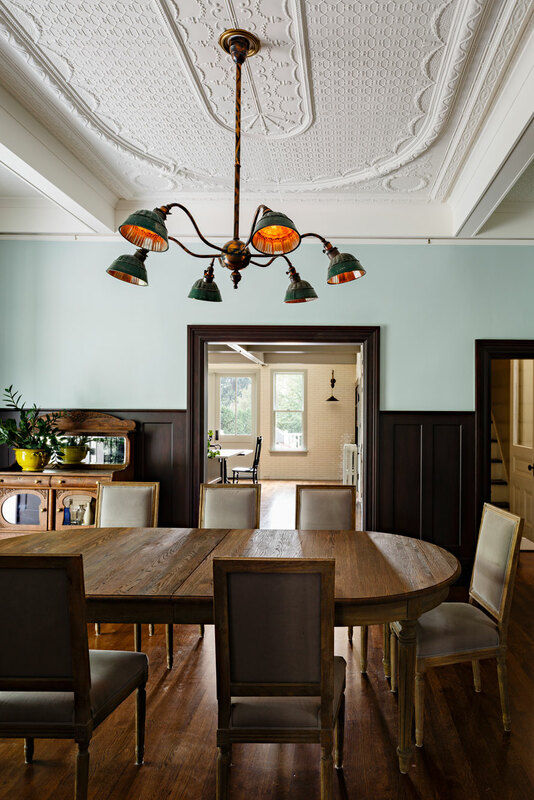 The dining room and kitchen were previously connected by a narrow opening, which we enlarged. 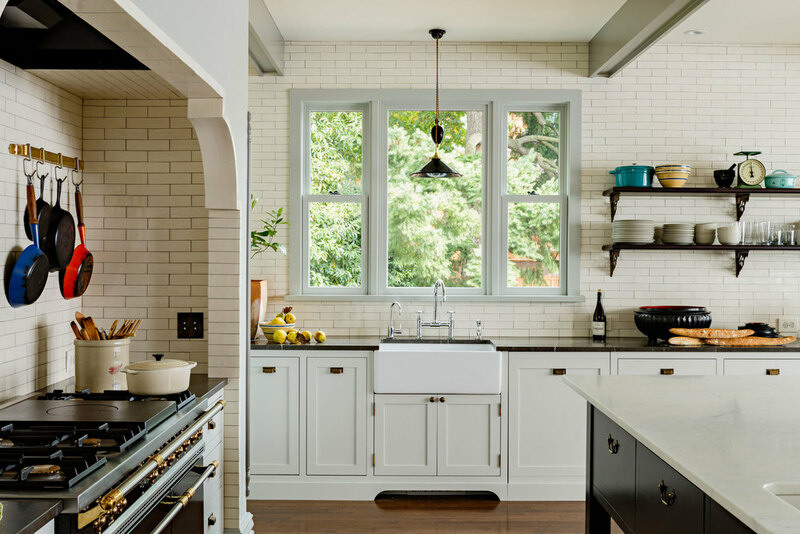 A built-in cabinet was removed from the dining room and reused in the new kitchen. 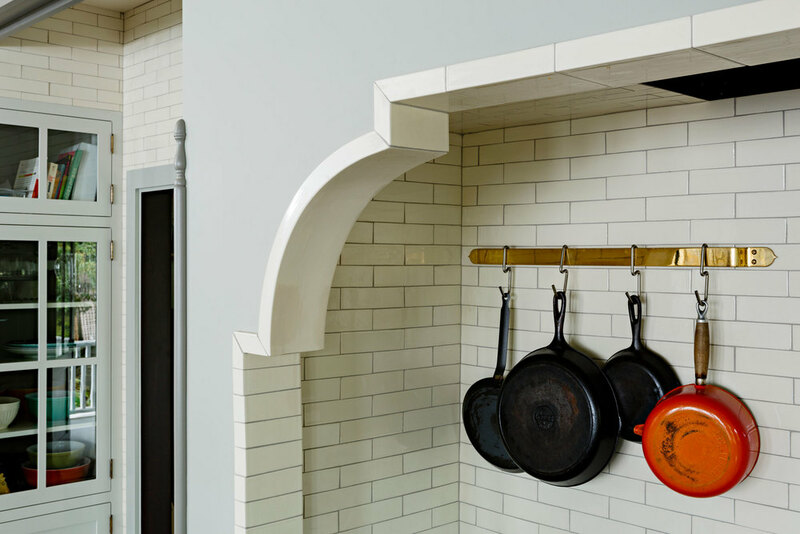 The walls are tiled to the ceiling in locally handmade tiles, and we designed tile shapes to surround the stove alcove, including two large curved pieces. 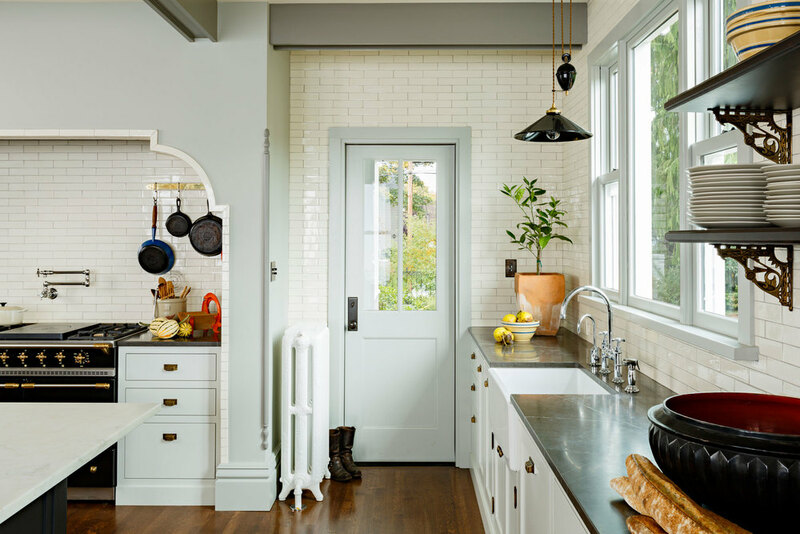 The senior designer for the Victorian Kitchen project was Mira Eng-Goetz.